The game had been running fine on my system until this evening. I havnt made any changes to the PC, no software installed, no windows updates or anything. Ive flown several times over the past week (online and offline) with no issues. I always have to personalise the desktop to windows basic before I launch the game which was always the case before as otherwise it just crashes all the time. It crashed twice initially tonight on spawn in. Then the next time I got a block message thing from Avast saying I had to re start my PC to ad clodlauncher.exe (I cant remember the actual name of the launcher but hopefully you know what I mean) to the virus chest or something. So I did. So i re boot. Try again. This time i get an error message from steam saying the game update had failed. I tried again and this time it said it was updating the game and I got a little progress bar thing (i dont know why it was updating as i was on 4.55 already??) The game started up. Spawned in. Crashed. Tried again - this time i spawned in ok, got up and flying for about an hour, dove on some bombers, literally pulled the trigger....and freeze. AAAAGGGHHH lol. My entire machine froze up today... about 30 minutes or so in... over Bolougne. Starting last night, I have been unable to change aircraft type without the game crashing. Everything works fine if I fly the plane shown for the airfield I chose. Long shot. Sometimes steam reactivates steam overlay on my system without telling me and i get similar system crashes. Worth checking just in case. Hope u get it sorted. Ps Good to see u back Dave btw. This sounds very similar to what I have been experiencing since a few weeks (was fine before). Since we seem to be more and more to experience similar, it may be time to somehow join efforts and try to solve this issue. Perhaps first step would be to identify common settings/apps running in the background, etc...? I wish I knew enough about technology to help more. Already posted the error logs which I believe may be helpful to someone who knows how to read them. Happy to participate in debugging session(s) with someone who understands this stuff. My next intented step is to setup a "clean" account on my PC, dedicated to CLOD, on which I would not have any other program or app installed (such as Googledrive, dropbox, Outlook, etc.). Just Steam, CLOD, Teamspeak, Notifyer, and whatever is needed to run CLOD, nothing else. Will report back here if I see any difference. I understand there was a Windows update on April 10th. The same day I started having the problem I described above. Coincidence? @ Noofy - yeah happy to share stuff to find anything common. I havnt had much chance to fly since I had the problem, just for one evening. I have stopped running the TARGET software that i was using so I will see if that makes any difference - i certainly had no problems in that one session since. Other that that the only programs i have running when i play are team speak and Track Ir. I have something called trading paints running in the back ground also which is to do with another sim altogether. Im not very technical Im afraid - i dont even know where to look for an error log??? @ TWC - yes i always dread the windows updates - a necessary evil though! I read somewhere that crashes may happen if 32bit apps are running in the background. - i dont even know where to look for an error log??? 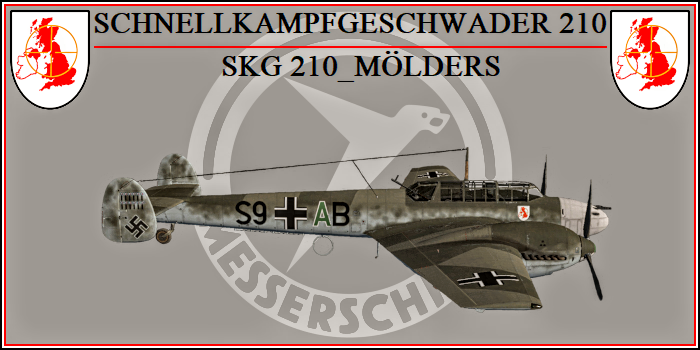 This﻿ is done in the conf.ini file in your Documents/1C SoftClub/il-2 sturmovik cliffs of dover/ folder. Last edited by ATAG_Highseas; Apr-12-2019 at 14:06. Yes, and another source of log files is in windows' "event viewer". For Windows 10 users, try re-installing your video card driver especially if u notice crashes just after a Windows update. Or better still check if u have the latest driver and then install that. This still works if you want to upgrade. You may not want to.... and I'm offering no advice! I did it three days ago on my wife's lap top. Only issue i had was that weirdly her wifi then stopped working. I deleted the wifi driver and rebooted and it sorted itself out. Ive done it on three other machines with no issues at all. What r ur system specs and what OS r u running? Have u noted the above recommendations? Let's try to proceed in " steps". *Important note: When the crash occours copy the game log file BEFORE starting again the game or it will be overwritten!!! Last edited by SKG 210_Mölders; Apr-14-2019 at 23:42. I have the settings as you suggested. There is no error reporting in the CLOD log file, only the windows files. It just happened once and I have attached the corresponding error to my first post in the other thread (it was about one image it could not load from the cache). Did not report any error since. Just the windows error logs. And by the way my CLOD log file is not overwritten each time I restart the game. The same file gets incrementally amended. Have you tried disable your antivirus software? Thanks for the links Mölders. Yes I have already seen many of these, however since they are 2 years old for most I was wondering whether the solutions suggested were still valid after the subsequent patches. Anyway I’ll keep on trying. Following last update of NVIDIA drivers two days ago, I ran CLOD for a few hours yesterday in SP mode, as well as on DD and ATAG servers. Many respawns (thanks to Moose kills...) and no crash so far. I’ll monitor for a few more days before declaring it solved. Will reinstall CLOD on SSD (same as Steam) as opposed to HDD as it is currently installed. EDIT: Nope, the re-install did not solve it. Still crashing but less frequetly it seems..
Last edited by Noofy; Yesterday at 22:22.